Sgt. 1st Class Benjamin B. Wise, 34, of El Dorado, Ark., died Jan. 15, 2012 at Landstuhl Regional Medical Center, Germany of injuries sustained on Jan. 9 in Balkh Province, Afghanistan, when enemy forces attacked his unit with small-arms fire. Wise was assigned to A Company, 3rd Battalion, 1st Special Forces Group (Airborne), Joint Base, Lewis-McChord, Wash. and was deployed in support of Operation Enduring Freedom-Afghanistan. This was Wise’s fourth deployment. Wise graduated from West Side Christian High School in 1995 and entered the United States Army in November 2000 as an infantryman. Upon completion of basic training, advanced individual training and the basic airborne course at Fort Benning, Ga., in 2001, he was assigned to the 5th Bn., 20th Infantry Regiment, 3rd Brigade, 2nd Infantry Division at Joint Base Lewis-McChord were he deployed to Iraq as a member of the battalion scout platoon from 2003-2004. 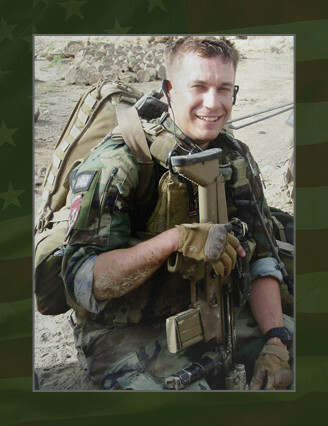 In 2005, Wise volunteered for the Special Forces Assessment and Selection Course and was selected to continue training as medical sergeant in the Special Forces Qualification Course. After graduating from the Special Forces Qualification Course in 2008, Wise was assigned to 3rd Bn, 1st SFG (A), Joint Base, Lewis-McChord. During his time with 3rd Battalion, he deployed once to Iraq and twice to Afghanistan. Wise’s military education includes the U.S. Army Airborne School, Warrior Leader Course, Basic Non-Commissioned Officers Course, Advanced Leader Course, Survival, Evasion, Resistance, and Escape Course, the Recon and Surveillance Leadership Course and the Basic Airborne Course. His awards and decorations include the Bronze star Medal, the NATO Medal, three Army Commendation Medals , three Army Good Conduct Medals, the National Defense Service Medal, four Iraq Campaign Medals, three Afghan Campaign Medals, Global War on Terror Service Medal, two Overseas Service Ribbons, three Non-commissioned Officer Professional Development Ribbons, Army Service Ribbon, Special Forces Tab, Combat Infantryman Badge, Expert Infantryman Badge and the Parachutist Badge. He was posthumously awarded the Silver Star Medal, Purple Heart and Meritorious Service Medal.